From the author of The Art of Lainey and Liars, Inc. comes a fresh, contemporary story about one girl's tragic past and a boy who convinces her that maybe her luck is about to change. Perfect for fans of Sarah Dessen or Jenny Han. Maguire knows she's bad luck. No matter how many charms she buys off the internet or good luck rituals she performs each morning, horrible things happen when Maguire is around. Like that time her brother, father, and uncle were all killed in a car crash--and Maguire walked away with barely a scratch. 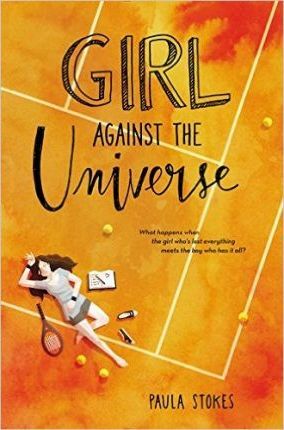 But then on her way out of her therapist's office, she meets Jordy, an aspiring tennis star, who wants to help Maguire break her unlucky streak. Maguire knows that the best thing she can do for Jordy is to stay away, but staying away may be harder than she thought.